According to a recent study from King’s College London, there are around 83,000 former servicemen and women who are still su ering from their physical or mental injuries from the wars of the last 25 years. 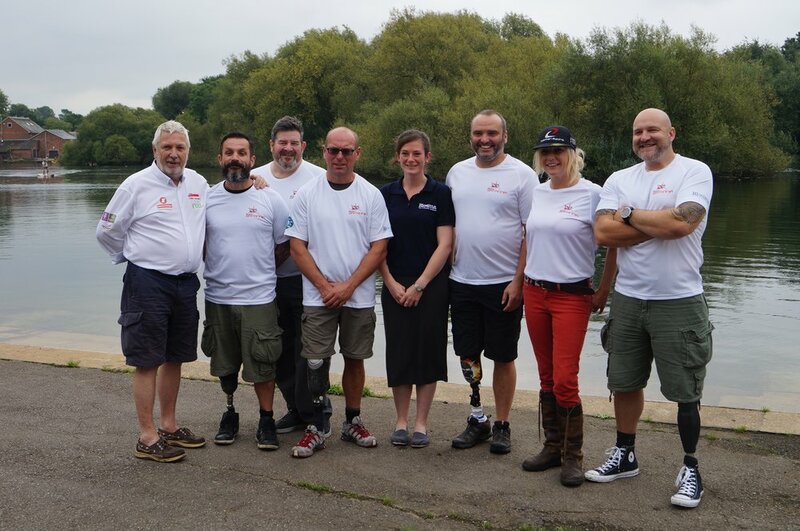 Team Britannia is honoured that in this endeavour we are working with British Limbless Ex-Serviceman’s Association (BLESMA) to provide a number of wounded and injured servicemen/women an opportunity to join our crew. We will harness their incredible can-do attitude, their passion and tenacity. It is this spirit that not only makes our armed forces the best in the world but will help us take back the round the world powerboat record for Great Britain. BLESMA is providing funding for the training and support of the WIS crew- members, including medical support, transport and accommodation. BLESMA supports limbless veterans, it was set up after the First World War to support the more than 40,000 men who returned from that conflict having lost limbs or eyes. Nearly 100 years on it is still supporting veterans for the duration of their lives.